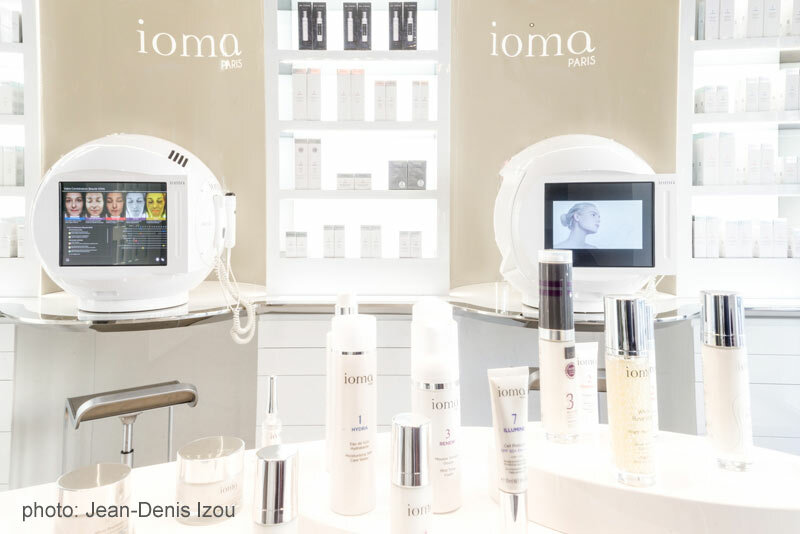 IOMA, the beauty high-tech brand opens a new store in the heart of Paris, at Saint German des Près. In this new store, the brand gathers the very best of high-tech and skin expertise. You will be able to find the best sellers of the brand as well as specific treatments, including massage cabines. This is definitely a new beauty destination in Paris. 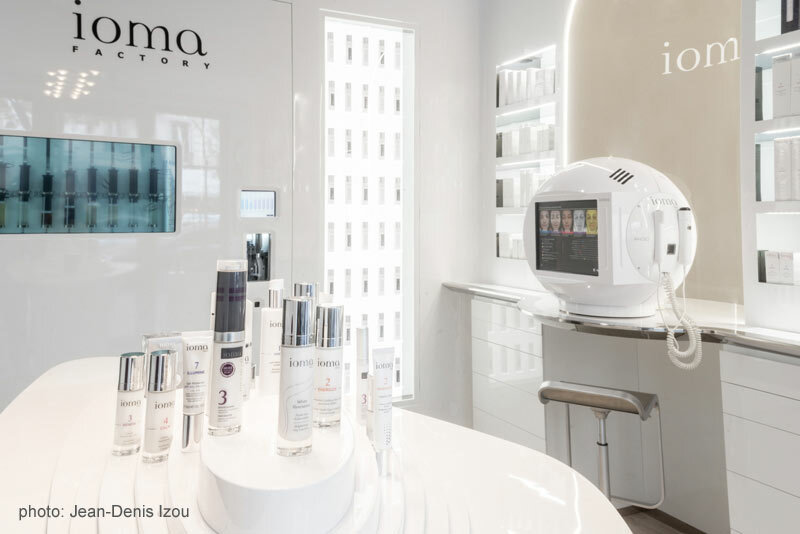 IOMA is a skin expert and all the concept is based in trying the find the best and the most adapted treatment for your own skin. For that the brand has created different high-tech skin diagnosis in order to personalize the offered treatment. The power of the brand is to be present in 17 countries in 3 different continents. These represent more than 1’500 sales outlets across the world. IOMA deployed 2’200 skin diagnostic devices. In one hand, the brand can serve its customer’s best interests and also feed a global database to develop new products. Using aircraft technology, smart phone telecommunications, and algorithms, it can detect skin issues, prescribe a custom regimen (from seven product categories), and measure the effectiveness of the treatment after four weeks of use. They will convince you by the proof. Born in the French Sillicon Valley in Grenoble, IOMA allies the very best of what technology and cosmetics can offer. And if you think it is all about machines, you would be wrong. 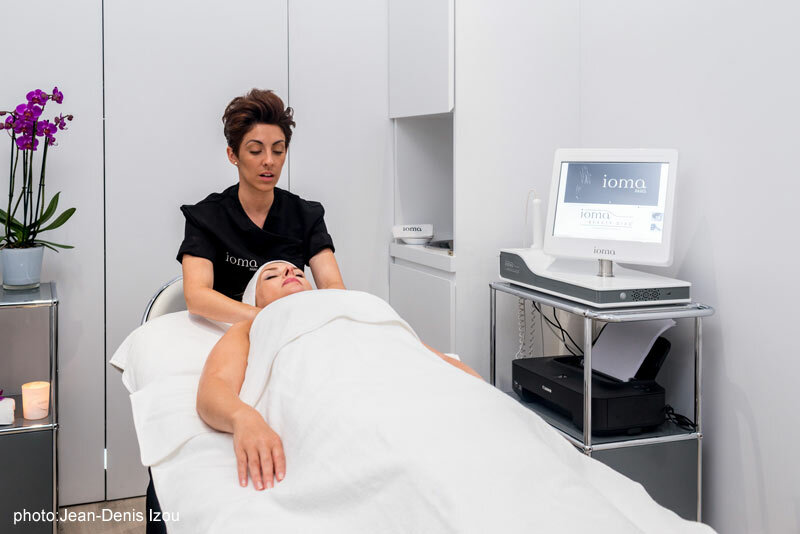 All IOMA personnel are highly trained and are skin experts. The company was found in 2010 by Jean-Michel Karam. In the heart of the French Silicon Valley, near Grenoble, the IOMA Research Centre manages the unique combination of high-technology and dermo-cosmetic science. On the same site are engineers, micro-electronics, computer scientists, but also scientists, dermatologists, formulators. For all, a single shared ambition: to achieve an intimate knowledge of each skin to create cosmetic treatments with proven efficacy. This collaboration, so precious and so special between technology experts and skin experts has been enriched further. Since 2013, IOMA has formed a strategic partnership with the Unilever group. Indeed, IOMA Research teams conduct a close collaboration with 3 UNILEVER research centres dedicated to skin care, that bring together more than 1,500 scientists: Colworth, in the United Kingdom, Trumbull in the United States and Shanghai in China. 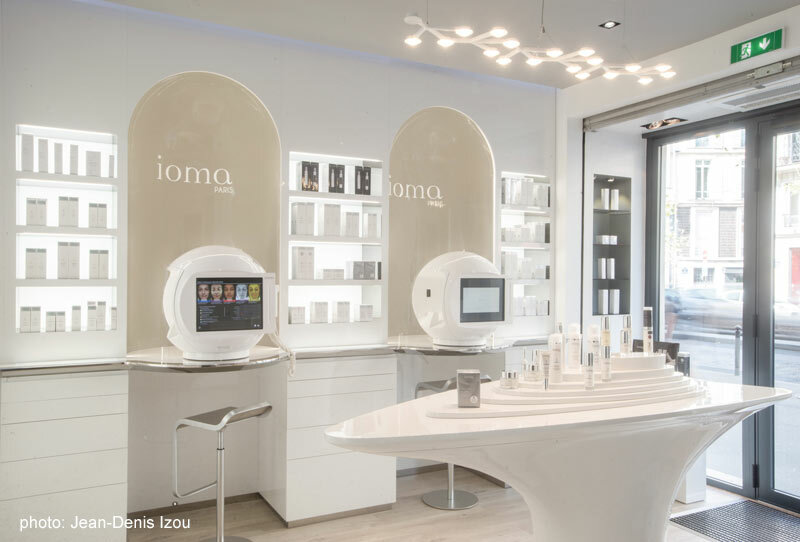 IOMA PARIS invest a lot of time and efforts to bring you the best and most adapted skincare product based on your skin needs. Among different products, the ultimate icon is for IOMA the one called MA CREME (My Cream in French). It represents the ultimate skincare for men and women. 40’257 formula combinations possible in order to perfectly adapt to your skin. You will not find such a customizable product in skincare. There are 2 steps to create your perfect skin formula: One base (day and/or night) and a serum. The Active Day Base and Active Night Base contain a series of carefully selected active ingredients to maximize the efficiency of your formula. These 2 unique Active Bases in particular contain Neutrazen, a high-performance peptide that reduces the skin sensitivity threshold, and VITAMIN E that protects the skin from free radicals and prevents the skin from aging. Each Active base is capable of hosting each of the 8 serums, at the appropriate dosage, and further maximizing its effectiveness. 8 bottles of Serum, 8 bottles of concentrates, of active and pure ingredients capable of changing your skin’s present and future. Of the 8 serums, 3 are dedicated to hydration and 5 are dedicated to regeneration. IOMA has made up to 40,257 formulas for the personalized cosmetic care MA CREME . This record number of formulas was established from the IOMA skin Atlas, a database of more than 1 million diagnoses. The IOMA Skin Atlas brings together over 1 million skin diagnostics summarised, compared, sampled. Each day, the IOMA Skin Atlas is enriched by the results of the 2,200 diagnostic devices distributed worldwide. With the new store located in the heart of Paris, at Saint Germain des Près, IOMA renew its attachment to Paris, the world capital for beauty and luxury. The elegant address will definitely become a destination for all people passionate by cosmetics but also interested in keep their skin healthy and protected. Every individual is unique and so is our skin. External natural conditions and internal metabolism will create an unique equation that requires special attention. 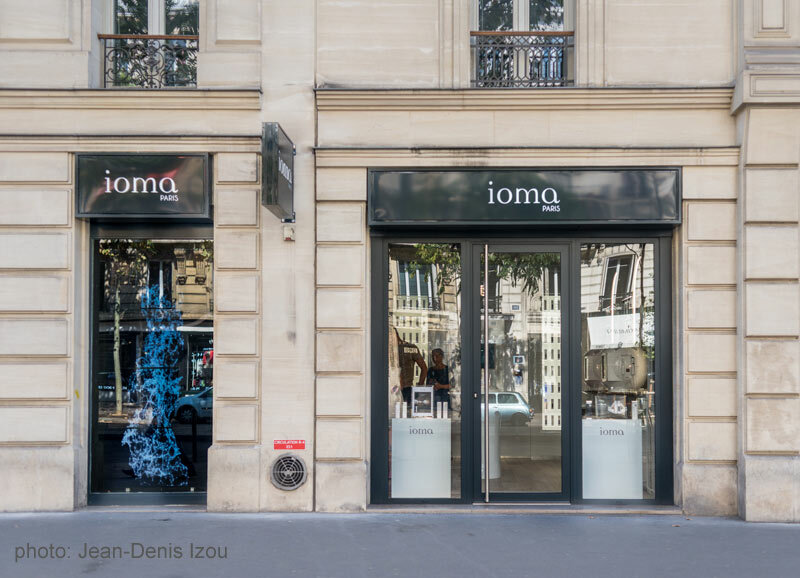 IOMA PARIS is definitely leading the huge trend of product customization, which means a bright future for this French innovative brand. Who said there is no more innovation Made in France? 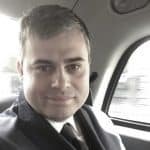 Info sourced at IOMA PARIS official communication and website. Special thanks to Pascal Ränsch and Alexandra Raillan for the insights. All content is copyrighted with no reproduction rights available. Images are for illustration purposes only.